In the first of a new series in the run up to Christmas, James Griffiths, aka The Matlock Fan, takes a look at some of the delights on offer in our non-league club shops. ‘Tis the season to be jolly and with that brings the need to buy presents for family members and others that you have to pretend you like but what gifts are Non League clubs presenting to be put under your tree this holiday season. 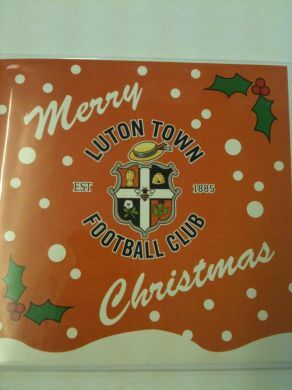 What better way than to say Merry Christmas to the token Luton Town fan that you know than with this Luton Town christmas card retailing at £1.99 it’s sure to spread seasonal cheer. Retails at £1.99 – buy them here. 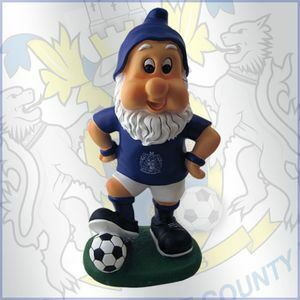 Who wouldn’t want a Stockport County FC gnome under their tree this holiday season but remember not to leave him out in the cold as chances are he may just break and at a price. Retails at £18.00 – available here. 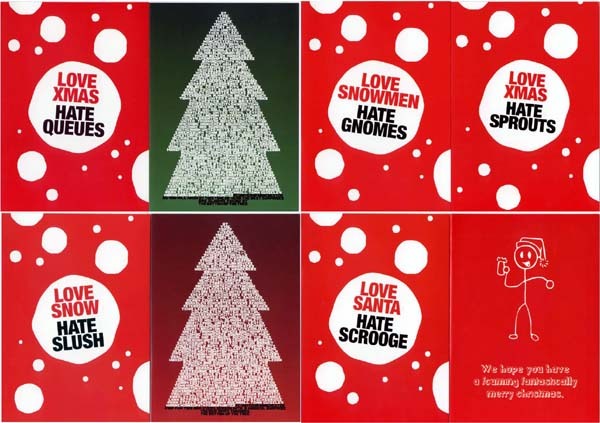 FC United Of Manchester are next on are Christmas merchandise trip as they give us their take on the christmas card. Retailing at £3.06 for a pack of 8 – get them here. 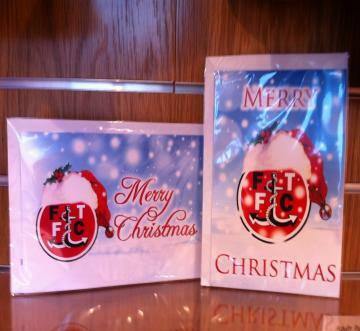 Next up is Fleetwood Town who give us their take on the Christmas card, surely to be a favourite with the Cod Army. Retails at £1.50 – available here. That’s all for this Christmassy edition but we will back in the next few days to spread more festive cheer and to take another look at what Non League clubs are offering the fans this christmas! Thanks to James for this look at some of the festive treats available in club shops now. We look forward to the next shopping trip! If your club has any festive gifts that you think should be included in a future roundup, get in touch. Leave a comment with a link or tweet me or James – @undertheleague or @thematlockfan. Posted on December 11, 2011, in UTL Archive and tagged Christmas, FC United Of Manchester, Fleetwood Town, Luton Town, Stockport County. Bookmark the permalink. Leave a comment.